his is one deportation case where being humane should trump anything else. If you are not moved by this woman’s story and her love of her husband, then this country is clearly in trouble. Please take a moment to click here and sign the petition. This one is special to us. My hubby José Pedro Mejía (A# 087-042-687) and I have been married 11 years. Jose has been in the US for 13 years. He came here from his tiny village in Mexico, where he was mired in poverty and was unable to find work. Shortly after we were married I became ill and was diagnosed with pulmonary fibrosis. November 2007 they determined that I had approximately 6 months to live – I needed a double-lung transplant. After agonizing back and forth with doctors about whether I qualified for the surgery, I was notified one morning that I was to be listed on the organ necessity list at about 9am. Three hours later the nurse informed me i was #1 on the list and to get to the hospital immediately, there was a match. January 9, 2008 I was transplanted. My recovery has been horrible. I take 30 meds a day. My sternum had to be broken for access to my lungs and has not healed. Through this all my husband has honored his promised “in sickness and in health.” My husband makes sure I eat and take my meds. He cleans, cooks, does laundry and helps me bathe when necessary. I have blackout periods where I appear awake but have no memory of certain blocks of time. Without him to care for me I hate to think where I’d be. I offered to divorce him so he could find someone young and healthy like him. But his support has never wavered. But now, he could be taken away from me because of his immigration status. We have applied numerous times for an adjustment of his status, all denied. We filed an appeal June 2010. Also denied. Recently my husband received a notice to appear for a hearing at immigration court for removal proceedings. I’m doing all I can to keep him here. My husband is the perfect example of what the Morton memo describes as meeting prosecutorial discretion. For all they have put ME through, a US citizen, I want him to be approved legal permanent status and eventually we will work towards citizenship. 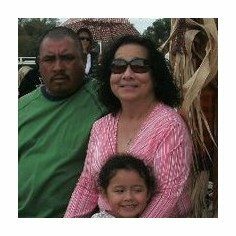 Please tell USCIS: stop the deportation of my husband and allow him to file for legal permanent residency. I just signed the petition and urge everyone else to do so. We are human beings first and foremost, compassion and love have to rule! Life is just too short!! Yo tambien!………Pero aquel que sea ilegal ,no use su direccion actual!!! creame no es broma. Maybe a petition should be prepared to protect the illegal immigrants who have come from Dominican Republic and other islands here in the Caribbean who have also been living here in Puerto Rico for sometime and deserve to stay as well. Let’s have a discussion concerning Puerto Rico’s illegal immigrants here on the island. Many are in cheap labor jobs building homes here. Yep, low wages, no health insurance…sound familiar? It’s easy to point fingers at other countries. But for every finger that is pointed away from you, 4 more are pointing back towards you.